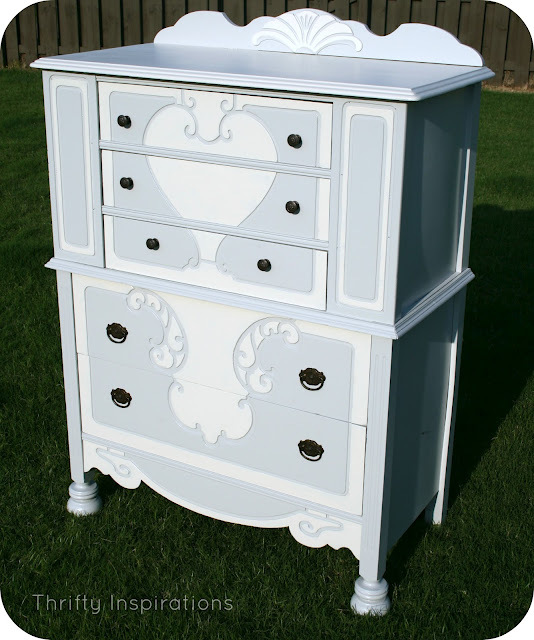 Rachel from Thrifty Inspirations shared this beautiful depression era chest with the most amazing details! Lauren from West Furniture Revival sure was having a very lucky day when she walked into a thrift store and found a card catalog. And just look at this beauty shine after Lauren worked her magic! 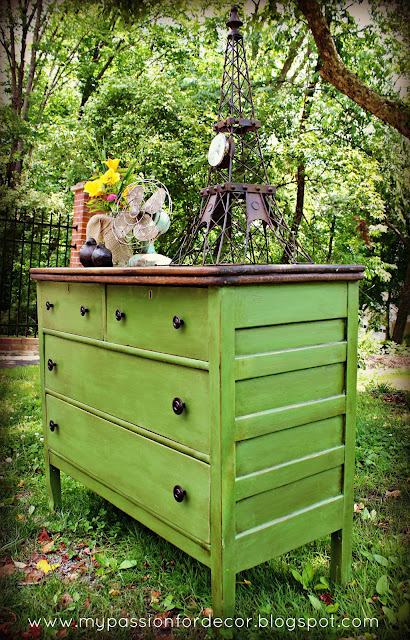 I have a weakness for cottage style dressers. 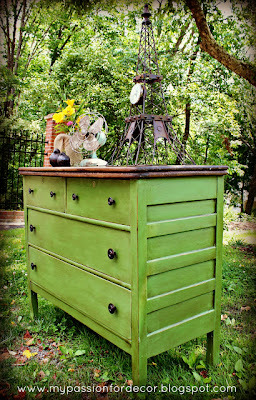 Just look at this one from Melody from My Passion For Decor ~ so sweet! Gail and her husband Charlie made this fabulous farmhouse table for their beautiful kitchen. Stop by Gails's Decorative Touch for all the details! Sarah and her husband from Alderberry Hill also teamed up to create this cute headboard/footboard garden bench in a big bold color that really pops! 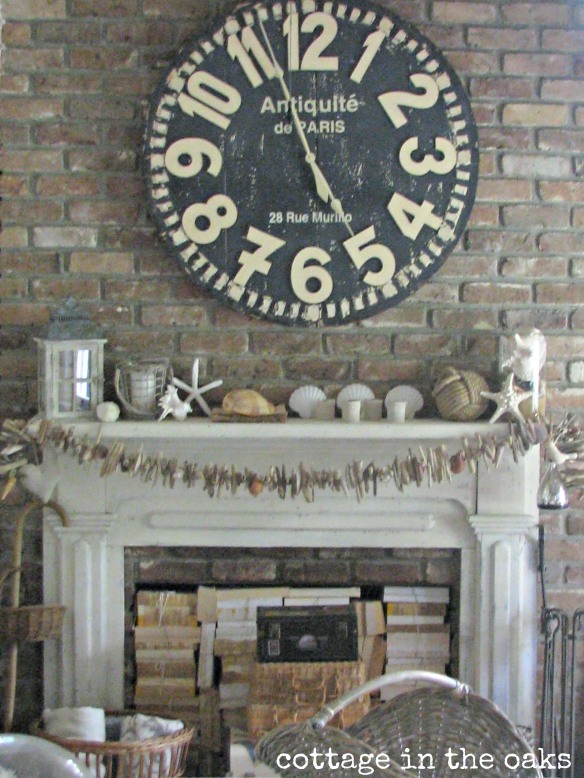 Cottage In The Oaks shared a dreamy summer mantel. I love all the details (you must check it out up close) and you just might find me filling my fireplace with books for the summer! 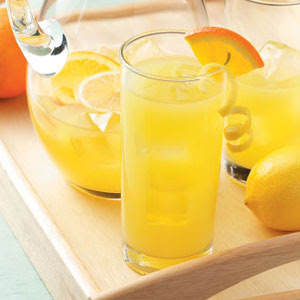 And Daune also shared an orange lemonade recipe that looks pretty and sounds so refreshing. I love homemade lemonade! Just another reason to visit Cottage In The Oaks . I'm back lovely lady. :) I've been totally coocoo lately but I am happy to be linking up. Hope you are having a great summer. I'm so happy that you featured my footboard/headboard bench - that's teriffic!!! Thank you so much! fabulous features! i love that yellow bench! 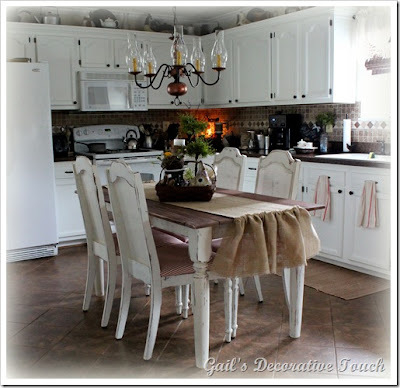 Great features.LOVE that farmhouse table and kitchen! Sharon, I am excited to be here today! Thank you so much for hosting! Your features are fabulous and I am especially loving that clock. I am on a quest for some type of huge clock something or another in my house. Hey Sharon! Thanks for hosting. Your features are fabulous. I really want the first dresser shown. WOW! I'm just astounded by the quality of furniture refinishing and decorating projects out there these days! Your features sure are inspiring. Thanks so much for hosting your party each week. Thanks for hosting! I LOVE Tuesdays when I get to visit you, Sharon. Thanks so much for hosting Elizabeth, Have a wonderful week! 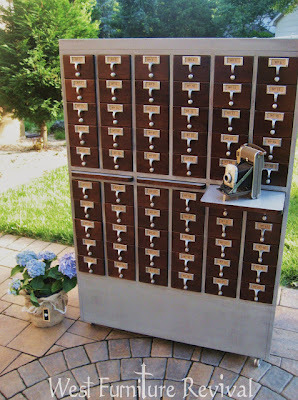 thanks so much for featuring my card catalog. i think im heading over to make some of that lemonade you featured! 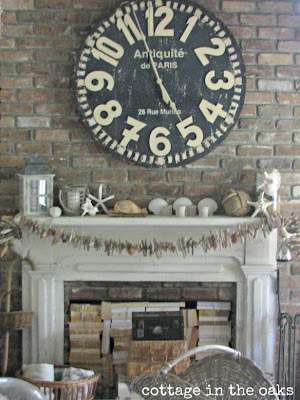 I love that mantel. Great features this week! Oh how sweet! You featured my depression era chest! Thank you! I love linking up every week! 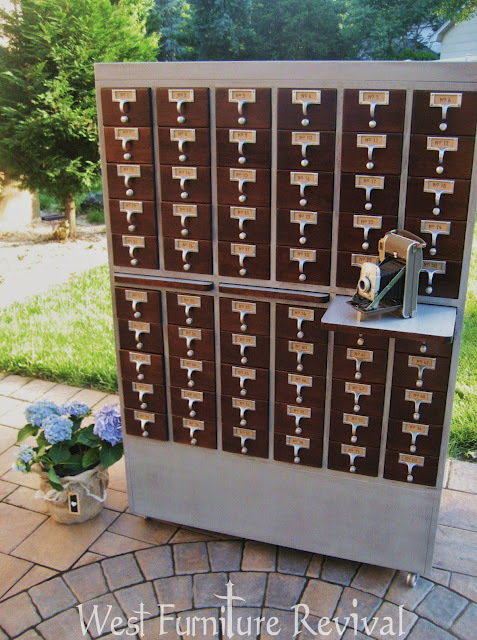 Nice features, all of them, but of course I'm having card catalog envy. I don't think I've ever dropped by before. Just found you on a blog surfing expedition and am thrilled I did. Thank you for hosting and I'll be sure to follow too! Sharon, You're so sweet to host this great party each week!! 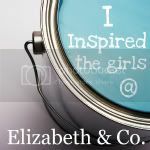 hi elizabeth: I'm getting ready to make my own chalk paint per your directions. One thing I didn't notice in your directions... what finish of paint did you use? I'll assume you started with flat. Is that right? Thanks for getting the recipe just right for me!! !